What Ceramic Tile Matches Honey Oak Cabinets? There are varying shades of honey oak cabinets, ranging from light to dark, but one thing they all have in common is a warm, golden glow. Because the primary color of honey oak is brown and brown is a neutral shade that works with any other color, you don't need to concern yourself with matching the cabinets. A greater consideration is finding a tile color that matches the walls of the room you're installing it in. 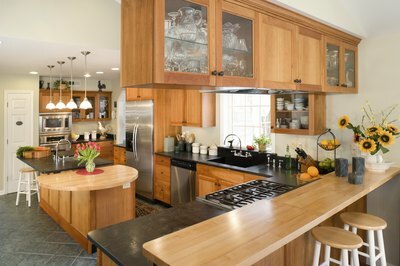 Even with their golden glow, honey oak cabinets are primarily a shade of brown. 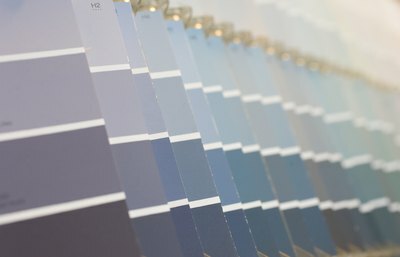 Few decorating tools impact mood like color does. Warm colors including red, orange and yellow are exciting shades that usher energy into a space. Restaurants often work red into their decor because it has been shown to stimulate appetite. Orange and yellow are often hallmarks of children's bedrooms and playrooms for the energy they inspire. On the other hand, cool colors such as blue, green and lilac are thought to promote calm and tranquility. This helps to explain why you so often see these shades in bedrooms, studies and medical facility waiting rooms. If you're hoping for a peaceful, low-key kitchen space, install a cool-colored tile with your honey oak cabinets. Now that you know that you can couple any color tile with your honey oak cabinets, you're ready to determine which color to opt for. One way to go is the complementary route. Complementary colors stick to the old saying "opposites attract" by pairing colors that are directly across from one another on the color wheel. For example, if your kitchen walls are lavender, the complementary color that would work for the tile color is lemon yellow. It's a bold look that works best in a contemporary space. 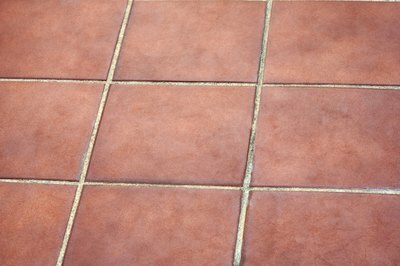 You can also choose an analogous color of tile. 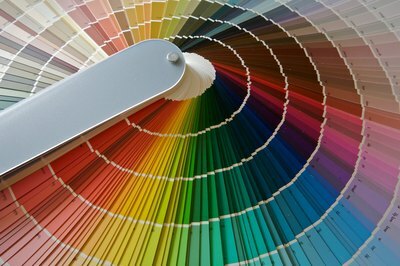 Analogous colors are the shades found directly next to your primary color on the color wheel. Using the lilac walls as an example, the analogous options would be pink and powder blue. The reasons analogous colors are harmonious is that they have something in common. Lilac and pink both contain the color red, and lilac and powder blue are both products of the color blue. Analogous colors provide a young, upbeat color palette. You create a monochromatic color scheme by layering in varying shades of the same color in one room. If your walls are lilac, you could use indigo for the tiles and eggplant for accessories such as curtains and area rugs. Of course, there are more sedate options in the monochromatic look. Beige walls with light tan tiles, accented by chocolate brown accessories, are a quieter take on the same theme. 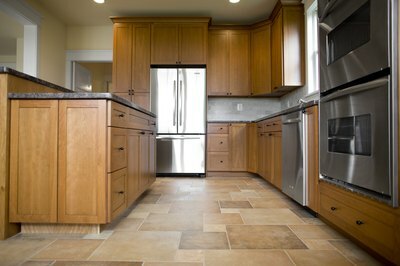 The safest decorating bet you can make when working with honey oak cabinets is to use a neutral-colored tile. Any shade of brown, in particular, will bring out the varying shades of browns in your oak cabinets. 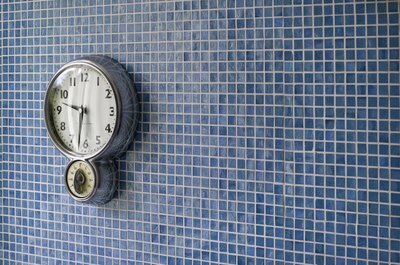 Another reason neutrals are worth using is that, while you may change your wall color on occasion, you're not as likely to change your tiles and a neutral color tile will allow you to use any wall color that captures your fancy. What Colors Would Go Well With a Pale Yellow Wall?